Where the beautiful people come to sun themselves, sip world-class cocktails and nibble on the finest sushi and other international cuisine, Suada is befitting of glamorous Istanbul. 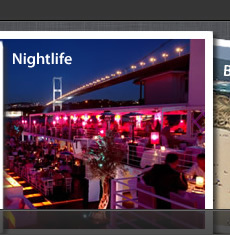 Set in the middle of the Bosporus with a 360 degree panoramic view of Istanbul. Buzada gives a unique beach experience. 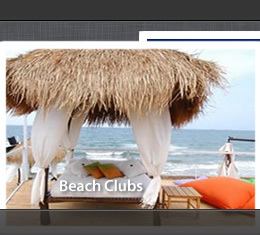 This island has a beach club that caters to guests with beach access and a swimming pool. 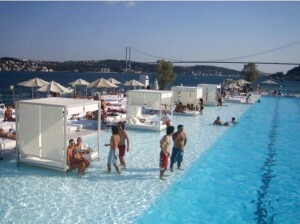 Suada is essentially a floating club in the Bosporus with a floating Olympic size pool. 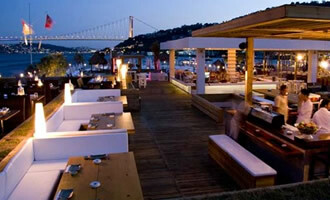 Placed in the water at KuruÃ§eÅŸme, the swimming deck Suada has a 360 degree panoramic view of the Bosphorus. It is popular with poolside parties on hot summer days. Boats shuttle guests to and from the mainland throughout the day.